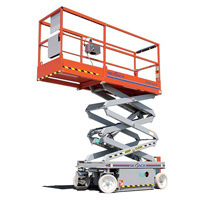 The Conventional Series DC Electric Scissor Lifts offer high capacity and large platform areas, making them suitable for any on-slab application. Featuring variable speed rear wheel hydraulic drive, the Conventional Series offers working heights up to 38’, and 25% gradeability. A standard 4’ roll out extension deck can be secured in multiple positions, and both models can be driven at full height. 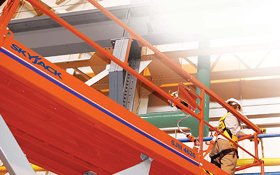 Consistent with Skyjack’s robust and reliable design features, the Conventional Series DC Electric Scissor Lifts utilize Skyjack’s standard color coded and numbered wiring system with analog based controls.